We love GraphQL and strongly believe in its bright future! We will keep investing into the GraphQL ecosystem and strive to make Prisma the best tool for building database-backed GraphQL servers. One example of our efforts is the upcoming Yoga2 framework which will enable a Ruby-on-Rails-like experience for GraphQL. Prisma is an ORM replacement that has many more use cases beyond GraphQL, such as building REST or gRPC APIs. Prisma's goal is to simplify database workflows. Think of it as a suite of database tools to ease database access, migrations and data management. Let's start with a short history lesson and revisit how Prisma evolved to what it is today. 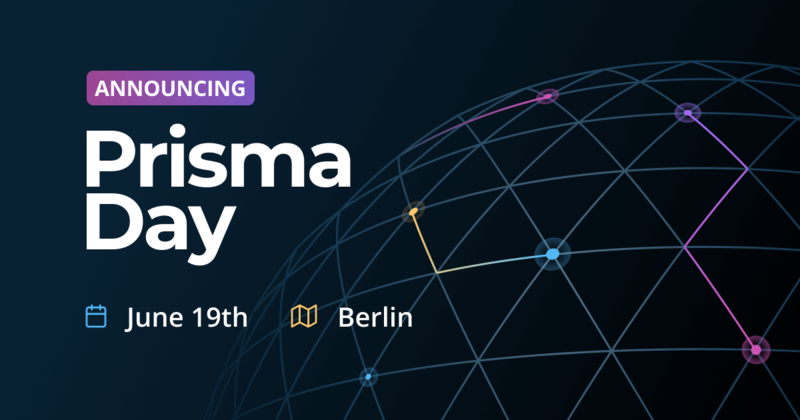 Before the launch of Prisma and the official rebranding, our core product used to be Graphcool (an open-source GraphQL BaaS). From the very beginning, the goal of Graphcool was to make it as easy as possible for developers to use GraphQL. Graphcool was loved for its ease-of-use. Developers used it for prototyping but then often dropped it in production in favor of building their own GraphQL servers. It was clear that the requirements developers have for building sophisticated GraphQL backends weren't met by a tool like Graphcool. This realization led us to Prisma. The first version of Prisma was a standalone version of Graphcool's query engine component. By making Prisma available as a standalone component, we gave developers the opportunity to quickly generate a CRUD GraphQL API for their database. This API was not to be consumed from the frontend. Instead, the idea was to build an additional application layer on top of it to add business logic and customize the client-facing API. 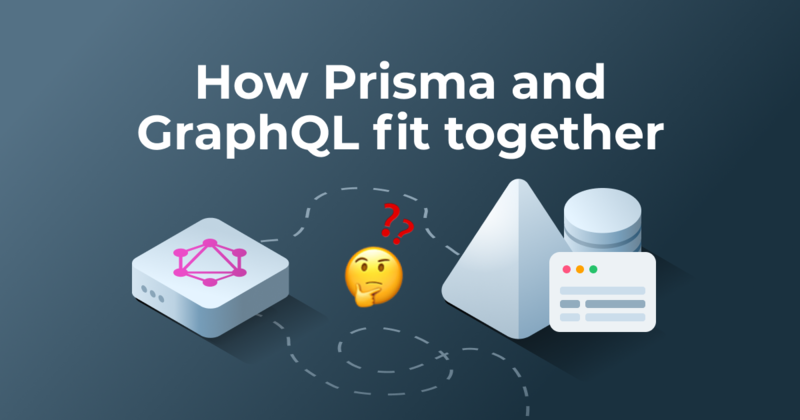 While the primary goal of Prisma still was to make it as easy as possible for developers to use GraphQL, the focus had shifted to becoming a data access layer that connects your GraphQL resolvers with a database. After talking to lots of customers and the Prisma community, our understanding of what Prisma was (and could eventually become) had again evolved quite a bit. While Prisma bindings made it easy to get started, the complexity of the concepts developers needed to understand in more advanced use cases went through the roof (due to the intricacies of schema delegation and the info object). Very difficult and impractical to achieve fully type-safe resolvers. Limited to GraphQL as a use case. The Prisma client solves these issues. It is an auto-generated database client with a simple and fully type-safe data access API. While we believe that the Prisma client API today already is one of the best data access APIs out there, a lot of community feedback helped us improving it even further. The result is an extremely powerful and intuitive database API that we'll release soon. Because the Prisma client has a built-in dataloader, it's the perfect tool to implement the resolvers in a GraphQL server. 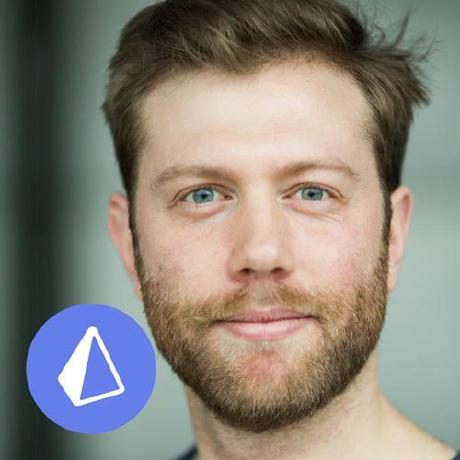 Understanding that the generated Prisma GraphQL CRUD API is considered an implementation detail is crucial to comprehend Prisma's focus and future direction. While the generated CRUD GraphQL API was absoutely essential with Prisma bindings, it has become an implementation detail with the Prisma client. Today, developers shouldn't care about how the Prisma client talks to the underlying database. What developers should care about is the Prisma client API! To reflect this in our official documentation, we have removed the Prisma GraphQL API docs in the last Prisma release. If you still need the documentation, you can access it by navigating to older Prisma versions in the docs. We also just introduced Prisma Admin as an additional tool to interact with the data in your Prisma project (in addition to the GraphQL Playground). Another common source of confusion in regards to Prisma and GraphQL can be data modelling. 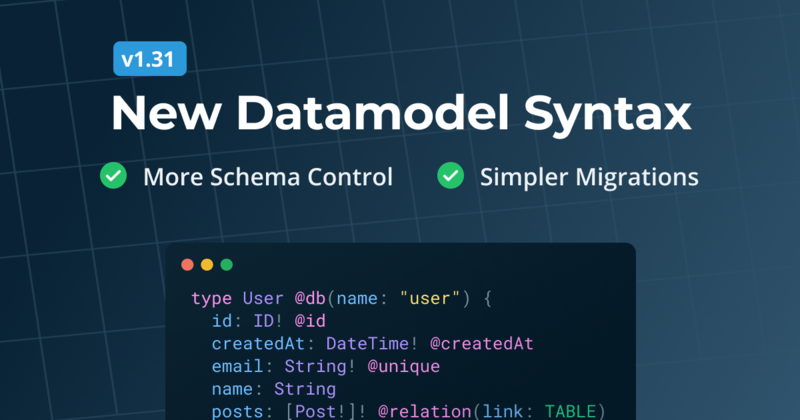 When using Prisma, the datamodel is specified using a subset of GraphQL's schema definition language (SDL). While we've already adjusted the file type of the datamodel from .graphql to .prisma, using SDL for data modelling is still a strong tie to GraphQL. However, we are currently working on our own model language (which will be a modified version of SDL). With the new understanding of the role of Prisma's CRUD GraphQL API, it becomes clear that Prisma is not in the category of "GraphQL-as-a-Service" anymore. Tools like AWS AppSync and Hasura provision a generated GraphQL API for your database (or in the case of AppSync also other data sources). In contrast, Prisma enables simplified and type-safe database access in various languages. Since the Prisma client was released, it's considered an implementation detail that Prisma uses GraphQL under the hood. So what role does GraphQL then play for Prisma? The answer is clear to us: We still see GraphQL as one of the most important upcoming API technologies and want to make it as easy as possible for developers to build GraphQL servers. GraphQL remains to be an important Prisma use case for Prisma! We will keep investing in the open-source GraphQL ecosystem. 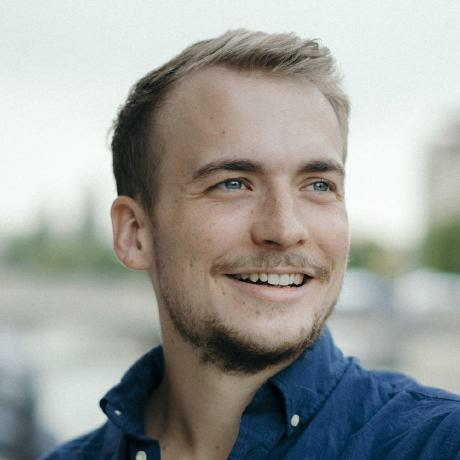 Many of the tools we've built have become the default in many GraphQL development workflows, such as the GraphQL Playground, graphql-yoga and GraphQL Nexus (built by Tim Griesser). The recently announced nexus-prisma makes it incredibly easy to implement a GraphQL server on top of Prisma. With the upcoming Yoga2 framework, we further aim to create a Ruby-on-Rails developer experience for GraphQL. Similar to how we invest into the GraphQL ecosystem, we want to contribute to the GraphQL community. We're running the world's largest GraphQL community conference and maintain popular resources like How to GraphQL and GraphQL Weekly. While we weren't among the first companies to join, we're certainly also planning to become part of the GraphQL Foundation and help steer the future direction of it. As highlighted throughout this post, we are working on many exciting and fundamental improvements to Prisma. To get an overview of what we are working on, feel free to check out our roadmap. We are speccing all upcoming features in public (via GitHub issues and an RFC process), so please join the discussion on GitHub and share your opinions with us! If you have any questions or comments, please share them on Spectrum. We are hiring! As you will find, one item on the roadmap is a full rewrite of the Prisma core in Rust. If you are a Rust engineer or just generally interested in highly technical challenges and open-source development, definitely check out our jobs page.